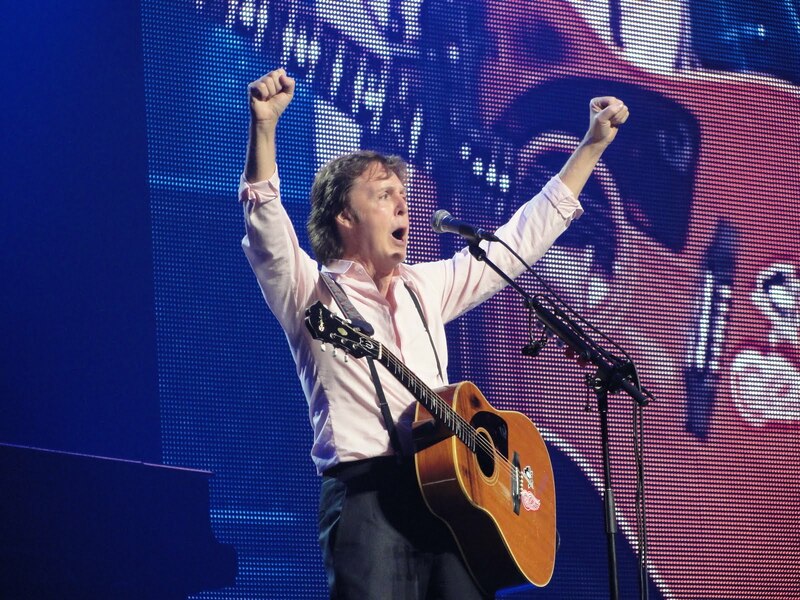 Wonder what NHL Hockey team Paul is going to add next??? 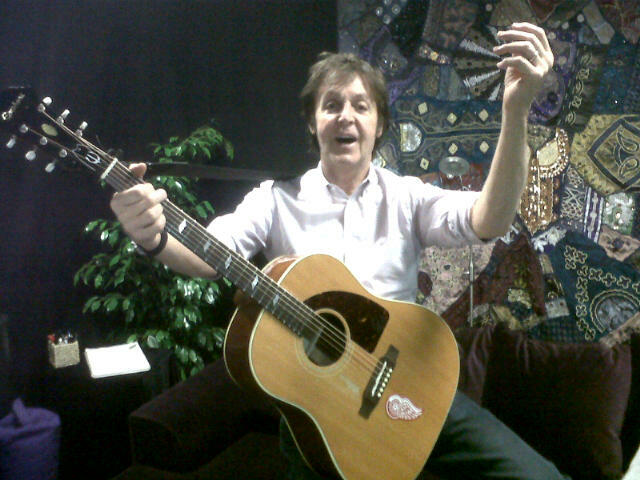 UPDATE: Looks like the Pittsburg Penguins sticker has been removed..This picture was tweeted by @PaulMcCartney on November 26, 2011. 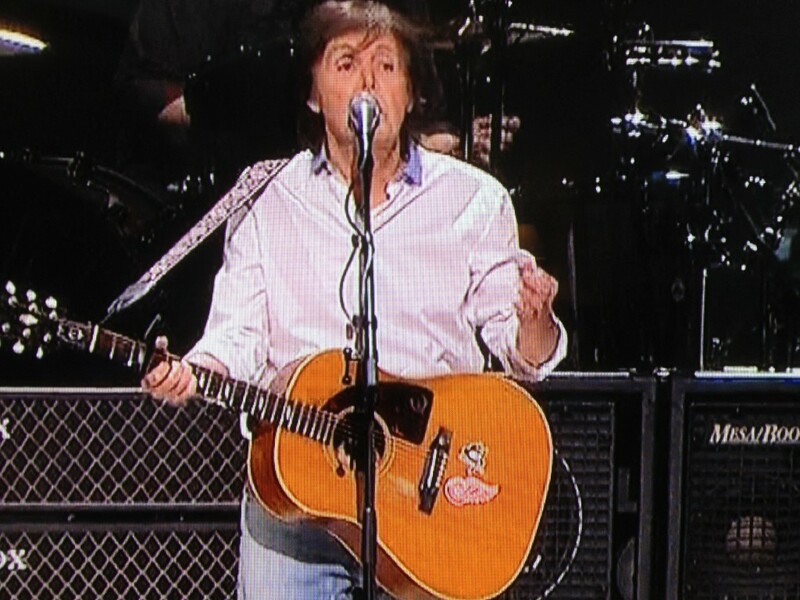 UPDATE 2: Apparently the Pittsburg Penguins sticker is still there and that tweet from @PaulMcCartney was an old photo. 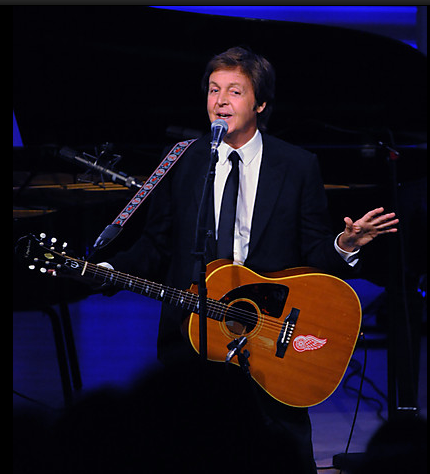 McCartney used the guitar for the 12 12 12 Hurricane Sandy Relief Concert and the sticker was in place. 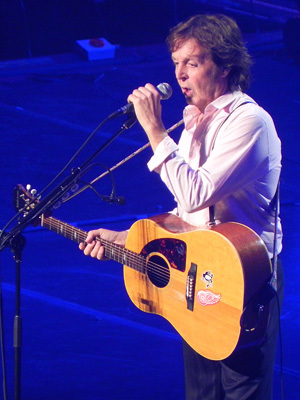 I am a HUGE fan of his and i have been since i was like 4 and now I and 16 and I am learning guitar and the guitar I want to buy is the Epiphone Texan 64' and add all the stickers, the WHOLE 9. I found this site by googling about the sticker and since he has the Penguins' sticker on there, Why not Philadelphia Flyers? 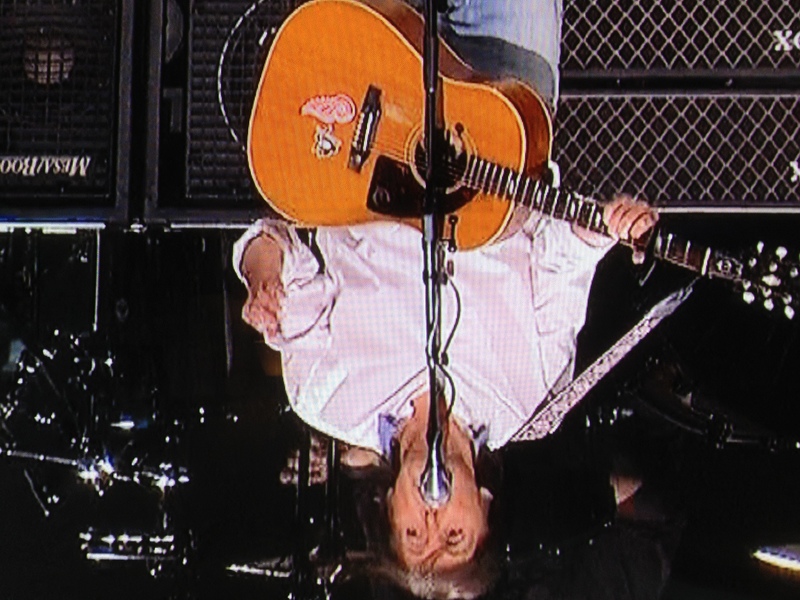 When ever he does an American tour, he almost always plays in Pittsburg and Philadelphia, PA.
"a classic of music with a classic of hockey…"
that's what the wings sticker is for…and the penguins sticker is to make sure the guitar isn't more awesome than he is.